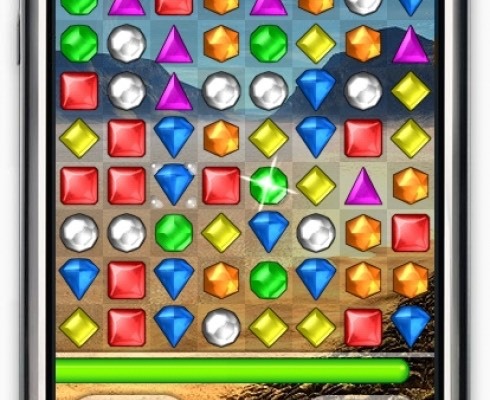 My first experience of Bejeweled 2 was on Xbox Live Arcade using of course the Xbox 360 console. With high definition graphics and fancier animations than the previous title that featured on the original Xbox, it was always on to a winner. 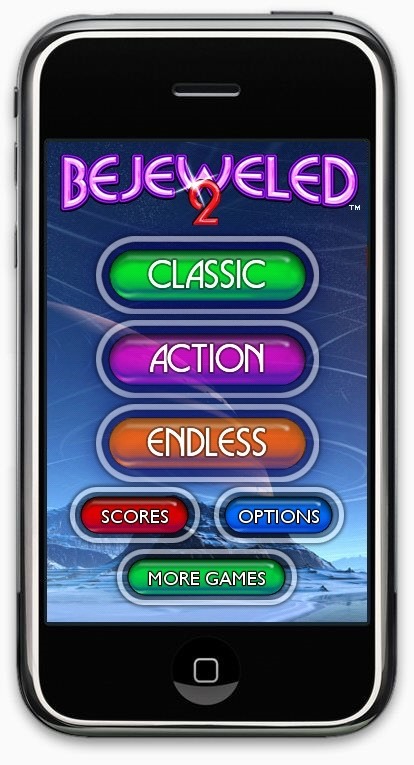 Bejeweled 2 is simply a puzzle game that if you are not careful will sap into your hours as any addictive game should. For anyone who has played the console version, the familiar graphics, music, sound effects and warping level completions remain and although of course not HD, look fantastically clear and colorful. 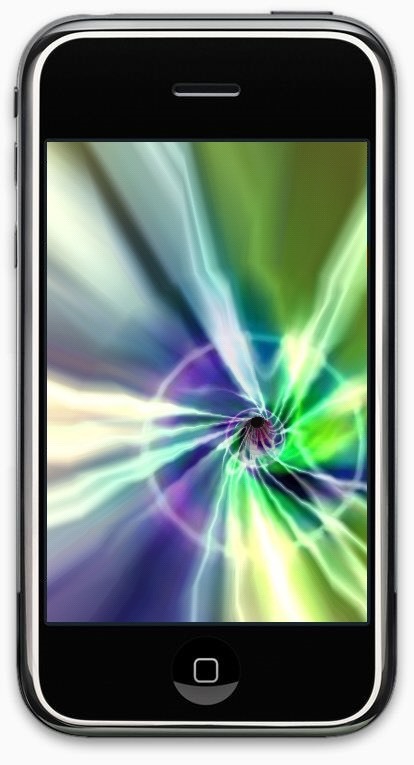 More importantly though the transition to a portable device like the Apple iPhone has not lost its appeal, working perfectly on a touch screen and also featuring a landscape view. I prefer the portrait view as I find the iPhone easier to grip this way, however it is nice to have the choice. Your screen is full of gems of varying colours and shapes. 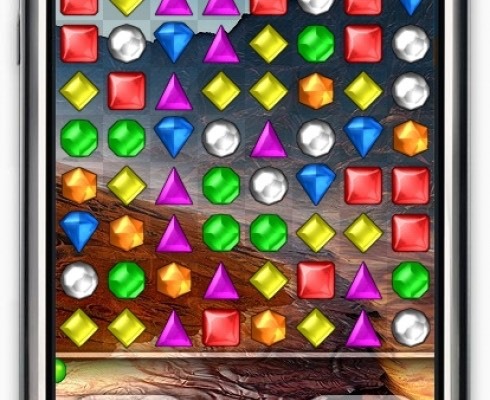 By matching at least three of these together by combining adjacent gems, the gems will be removed from the screen and you will eventually attain enough points to progress to the next level. 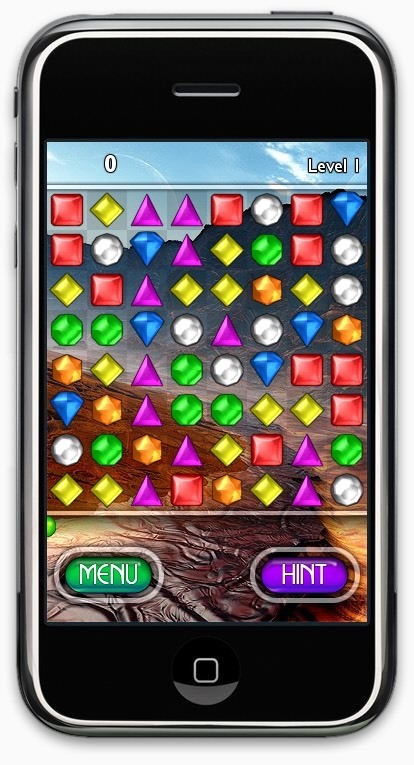 Matching gems will make way for new ones to drop from the top of the screen to fill the gaps created. You can only move one gem at a time and it only then will shift position if you can actually match up enough to clear them. 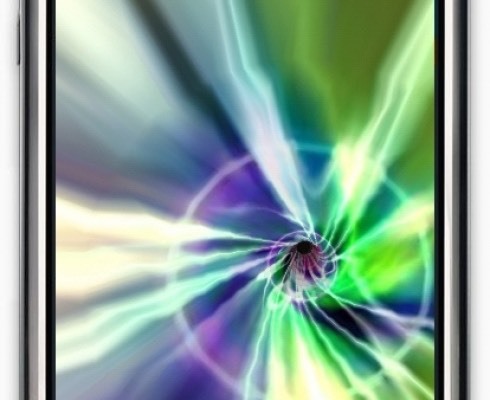 Matching 4 gems will create a ‘Power Gem’, which when cleared with others of its kind will explode, eradicating a small portion of the screen. Clear 5 in a row and the ‘Hyper Cube’ will appear. Using this life saver when close to running out of options will eliminate all of the identical gems you swap it with, which in essence gives you another chance of completing the level. If you can’t make a move, the game will automatically end, crushing your spirits with the drone of “Game Over….”, at which point you either settle down for another go or decide to go back to work. 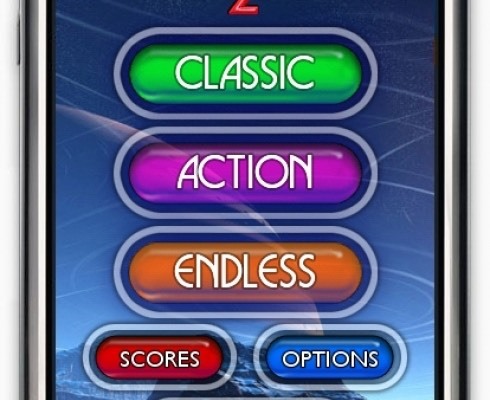 Featuring identical gameplay to the ‘Classic’ mode, yet adding a twist. Requiring hasty decision making, the time progressively disappears in front of your eyes. If you run out, I am afraid it is game over! You can slow down this eventual doom though by matching up the gems as usual. If that wasn’t enough for you to be concerned about though, you can still run out of moves also ending the fun. As the name suggests, this mode will never leave you in despair as a result of hearing “Game Over…!”. Instead, you play continuously forever and ever just passing time and maybe missing your bus stop in the process if you are not careful. Literally endless fun. 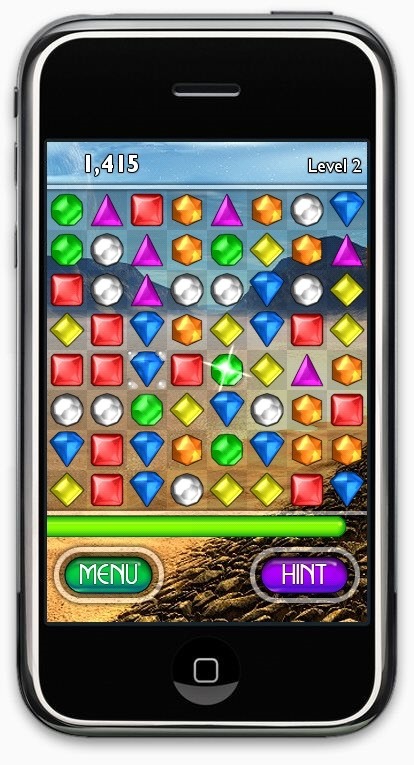 With such an easy design and rewarding gameplay, it is hard to fault Bejeweled 2. The game has ported over beautifully to the iPhone and will surely be a sign of yet more ‘PopCap Games’ titles coming to the platform. If you really are looking to pass the time and be sucked into something special, you would be well advised to purchase this delight from the iTunes Store.